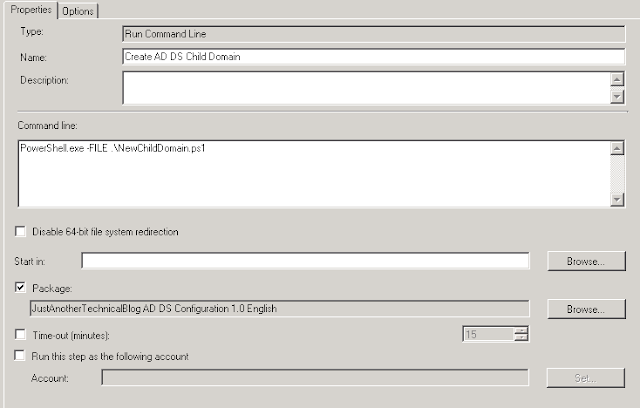 In previous posts over the past few weeks I've explained how I've installed the Active Directory Domain Services role and provisioned the first domain controller in a root domain using Configuration Manager OSD task sequences and some Windows PowerShell code. 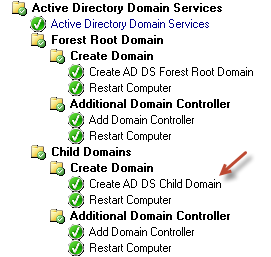 The next thing I need to do is install the first domain controller in a subordinate child domain in the new forest. The child domain will hold all my computing resources and users. Installs a new domain controller in a child domain, creating that new domain. Gets the variables you will see in the script from Configuration Manager. Write-Host "Child domain creation failed"
Write-Host "Child domain created successfully"